STORY: Tokeh and York are two community villages that are located at the out sketch of Freetown.The people in those communities are not financially strong and also the practicing of Islam is very weak. 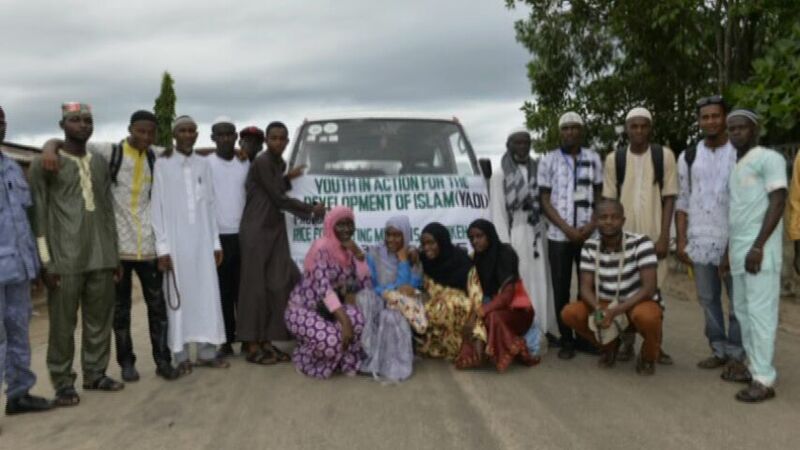 So in other to contribute in helping those people in those communities, Youths In Action for the Development Of Islam (YADI) targeted both tokeh and york in other to help and assist the Muslims in that communities for breaking of their fast, and also empowering the young sisters to stead fast in putting on the hijab and the young and youths as well as the children also to learn the Holy Quran. So foods, Hijab and Quran where provided to them as a means of breaking their fast and source of motivation for them in Islam. Next YADI provision of food and Quran in Ramadan to the less privileged in York and Tokeh communities.